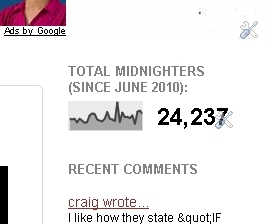 The Midnight Review: Midnight Review Beats Out Midknight Review In Total Viewers! Midnight Review Beats Out Midknight Review In Total Viewers! Thought I would just point this fun fact out - according to Blogger's own tracking, The Midnight Review has beat out John Smithson's similarly named right-wing blog, The Midknight Review, in total viewers. 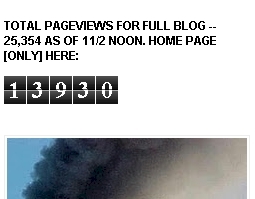 As of the morning of October 1st, 2010, John Smithson's blog received 9,980 hits (since Blogger started keeping statistics back in June). 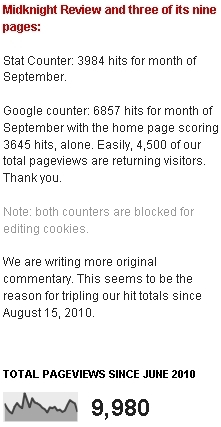 In that same four month period, this site had 15,633 visits - a difference of 5653 hits! 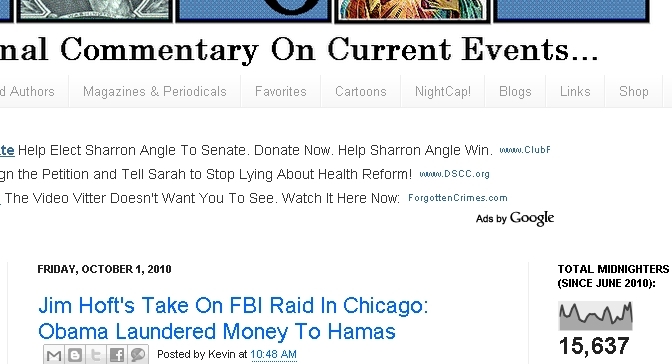 I only wanted to point this out because on Smithson's blog designed to attack this website, he implied that the reason why I would not put a stat counter on this website was because I received less traffic then his and that I would not be able to challenge his numbers if I were to have a stat counter installed. Update November 2nd, 2010 - I have decided to check back a month later to see how the site traffic compared using the same stat counter - Google - and the results were astonishing - The Midnight Review beat out Smithson's website with now a 10,000+ lead in visitors! Based on these counters, in the same time period, I have had 8,600 visitors to my site while Smithson had 3,950 - The Midnight Review saw 4,650 more hits per month then Smithson's similarly named site. Just for the record, my blog has never been about defeating your blog, as you suggest at the top of this post. You know that yet you wrote the lie. My count is what it is. I could not care less how it compares to yours. Never have. My main page runs around 190 per week, with original content authored by me. 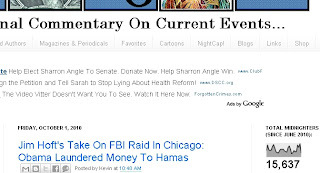 Your blog has a good draw because Dems love to read the lie - and your blog is full of misstatements and outright lies. Dems love it.